Emily A. Clark recently posted a list of her top 5 yard sale must haves. Basically, a list of what you should snag next time you’re out and about yard saling. Genius! After countless posts bragging about my thrifty finds (search “treasure hunting report” in the google search features, to the right), it dawned on me you might like to know what’s on my shopping list. I’m always surprised by the goodies I find, but I do head out with some kind of an idea of what I want, or “need”. Yup, I’m a list-maker and have a list of things to look for + projects I have in mind. Otherwise, in the early morning daze, I forget and miss something great! Eventually I get around to using all of the frames and mirrors I buy, especially for crafty DIY art projects. I recently scored three solid wood frames for 50 cents (for all three)! 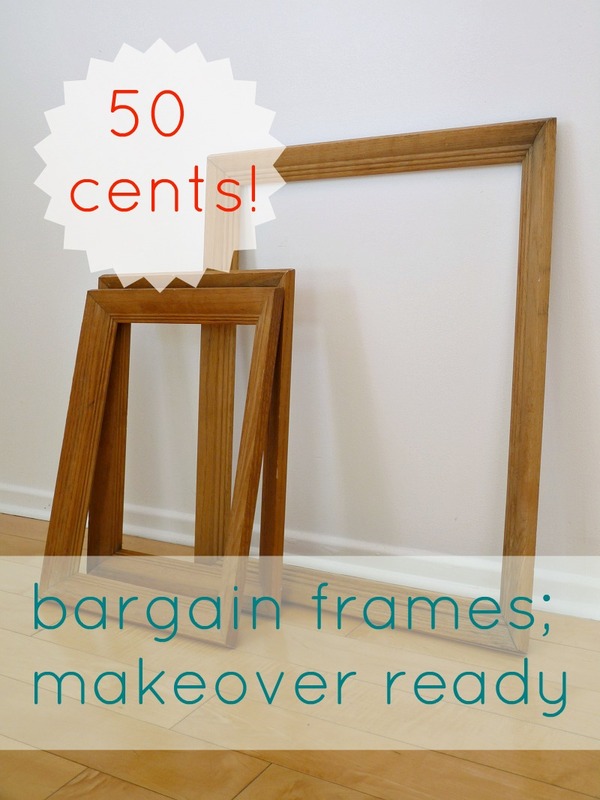 They need a little paint, but will be a perfect – affordable – way to frame up my own art projects. And, of course, you have already seen the much-loved feminist makeover I gave a $5.00 yard sale find. 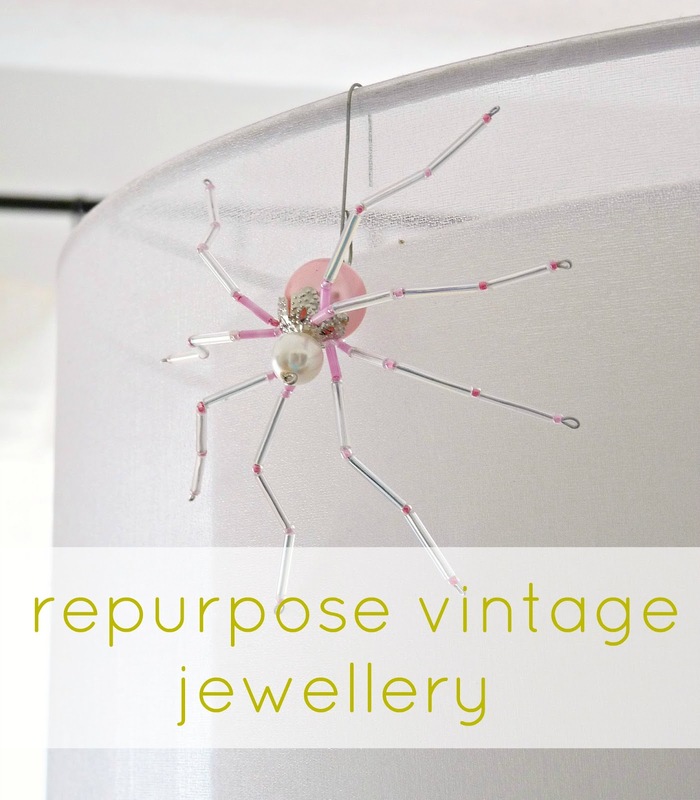 I sometimes use large, reclaimed, vintage beads to make the bodies of my DIY Christmas spiders. I also reclaim other pieces for jewellery of my own design and have even converted a tired pendant into something else. Plus, I’m on the hunt for some cheap rhinestone brooches to spray paint a neon hue. The materials in vintage jewellery have so much potential and can’t be beat for affordability. As a bonus, I have found some truly stunning mid-century pieces for a song, and that kind of treasure-finding just makes my Saturday! In terms of accessorizing the townhouse, I pepper our home with quite a few second-hand finds to gussy up the place for a fraction of the cost. Because we splurged (well, his work is pretty affordable, comparably, but we still had to save up!) on Shane Norrie pottery from an art gallery, I’ve saved money by mixing in some $5.00 pottery pieces. 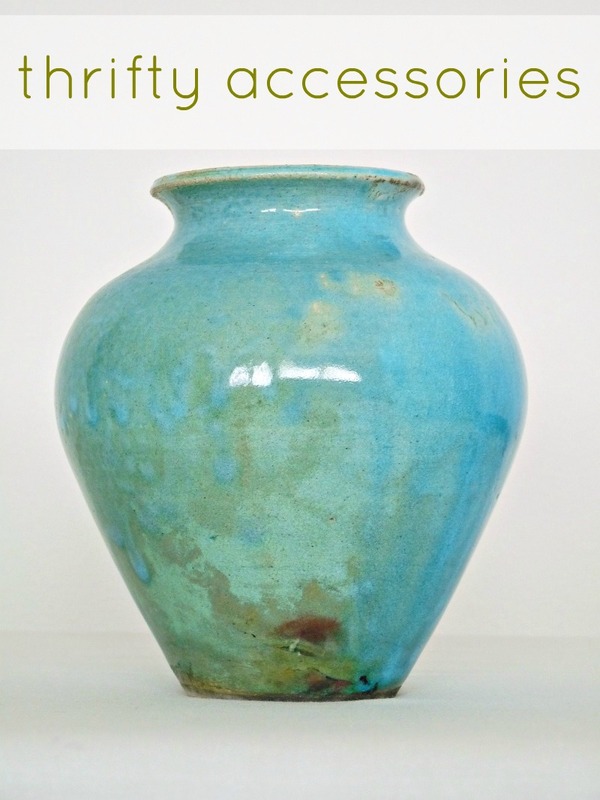 If you spy some great pottery or other accessories at a yard sale, snap them up! While you’re at it, take a second glance at original paintings, quirky prints and fun artwork. You won’t even believe the savings, plus you have a chance to score something unusual. This was a suggestion of Emily’s, too, and & I heartily agree. 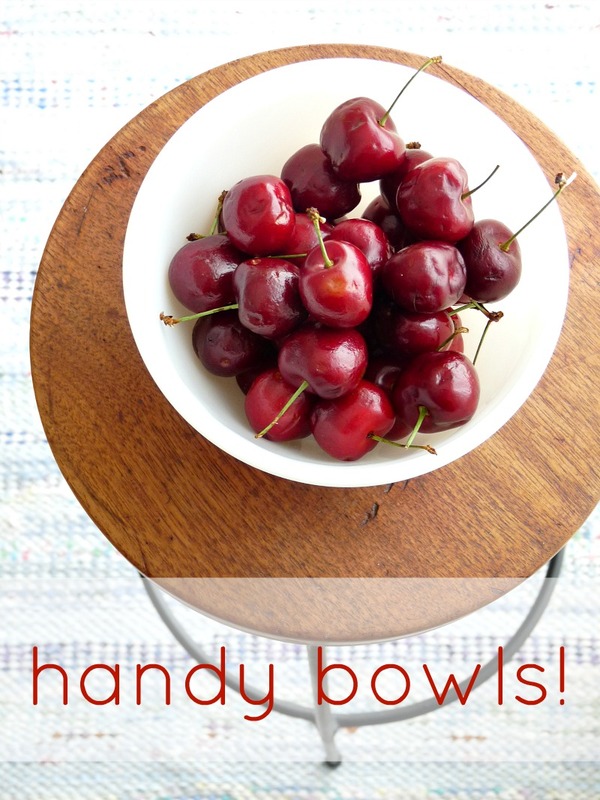 Whether I’m adding a stunning vintage enamel bowl to my nightstand, or using a sweet vintage Pyrex piece for a bowl of (slightly dented) cherries, I find bowls so immensely useful and stylish. I can’t amass enough! Yard saling is oodles more fun if you start a collection. It needn’t be expensive or rare – just something you like. Anything looks good en masse, like my silhouette collection, my budding McCoy pottery collection or Shannon’s milk glass collection. And finding a piece to add to a collection feels like such a triumph! What do you look for? Do you make a list? P.S. 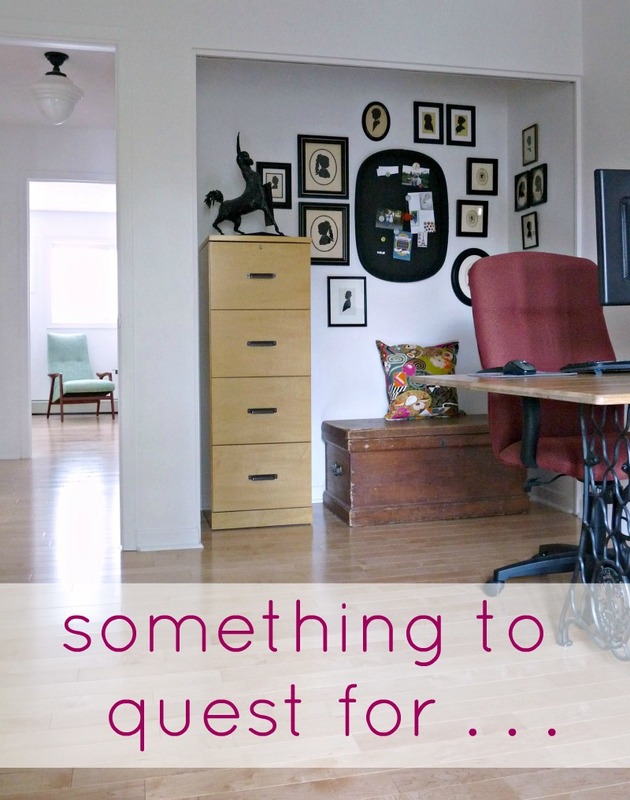 Amy, from paint.wine.repeat wrote a great post about how to shop at garage sales. P.P.S. Today’s the last day for my custom stencil giveaway. Thats a really good suggestion on the ceramic dishes. I organize with cheap plastic things everywhere-thanks for the tip! Happy to help! 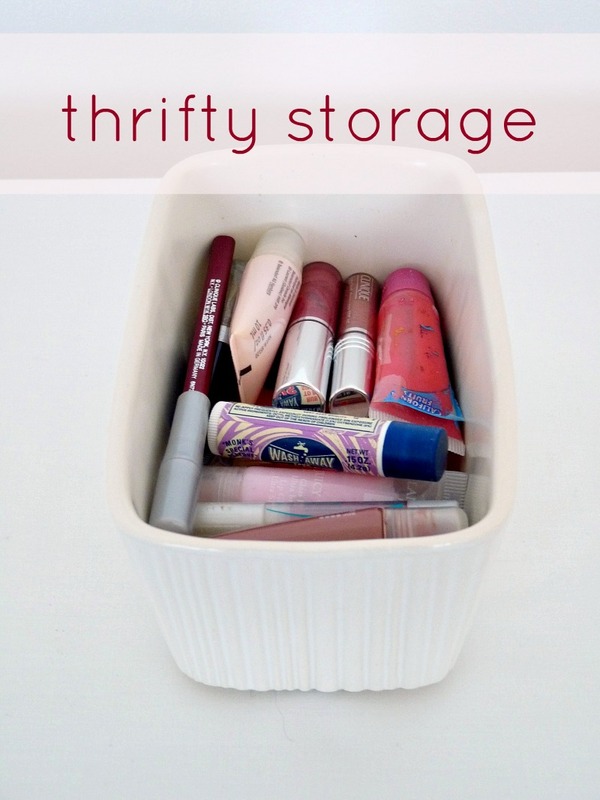 It was hard for me to believe, at first, that durable glass & ceramic containers would be cheaper than dollar store storage containers for little stuff. This is super useful! I am always amazed at the things that people find thrifting and going to yard sales – I seem to walk straight past ‘gems’ and I think it’s because I never really know what I am looking for! I’ll be practising my more focused/list approach from now on! Oh wow! Thanks for the shout-out! Love your shopping list… very useful. I use baskets the way you use ceramic dishes! Maybe I'll have to step it up to your class level! Baskets are another fabulous idea – Emily recommended them, too. Your post was great, I'm happy to share!! Awww, what a shame! Well, there's always next time 🙂 And, sometimes, not finding much makes the times we find something great that much better! After reading this post, i went to a yard sale and those were the items i immediately looked for. Excellent!! Did you have any success?? Great post!I look for pyrex…I always check first…as if someone entering the store 5 minutes later will scoop itI am on the hunt for an umbrella stand (no lucK)I always check baskets and toys…milk glass, serving trays, hmmm…with one eye open for surprises! Can't wait to see your etsy shop! Ha ha! I do the same thing: I make a beeline for the section I like most (the Pyrex/kitchen ware stuff).